Who you gonna call? Batman! We suspect that what Antoine de Saint-Exupéry meant to say was that languages are the source of misunderstanding, not just "language is the the source of misunderstanding." Anyone who has ever tried translating anything has had the pleasure of saying hello to a word that doesn’t come with a passport. 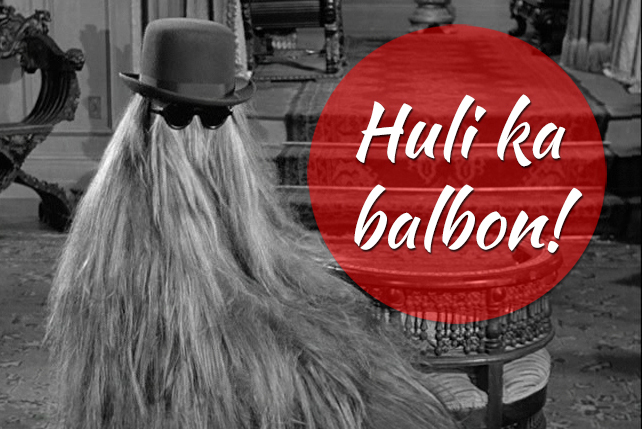 Here are 10 Pinoy expressions that lose their charm when approximated in another language. What it means: Said when one is feeling rather incompetent and would like to humbly ask for help or when encountering something completely foreign. In a sentence: "Paano ba gumamit nito? Wala sa bundok ko nito eh." What it means: The object is a monster that preys on ignorance, e.g., a new phone with more features than you can handle. 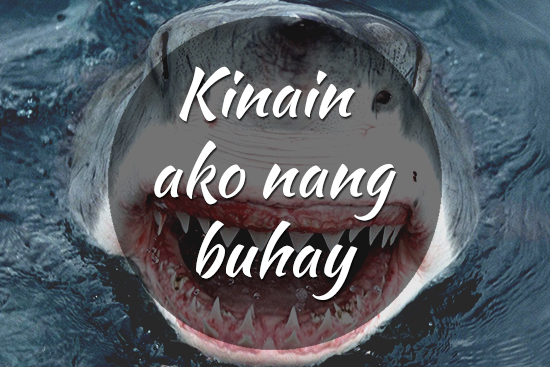 In a sentence: "Pina-try sa akin 'yong Google glass, nakakahiya. Hindi ako marunong gumamit, kinain ako nang buhay." What it means: A very, very long time ago. Very, very. 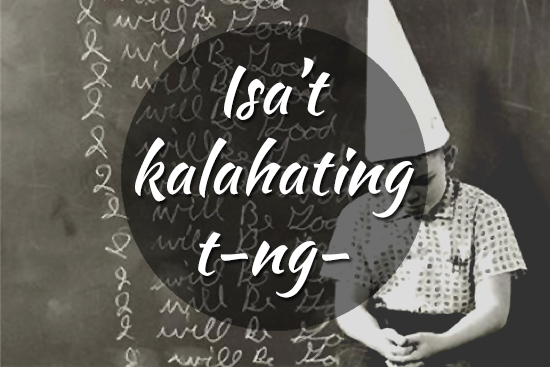 In a sentence: "Sino pa ba gumagamit ng salitang 'to? 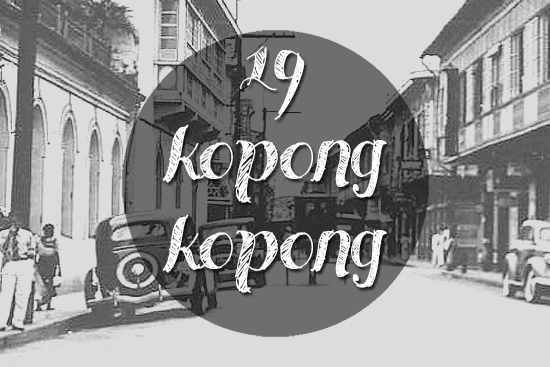 Galing pa 'tong 19-kopongkopong." 4. 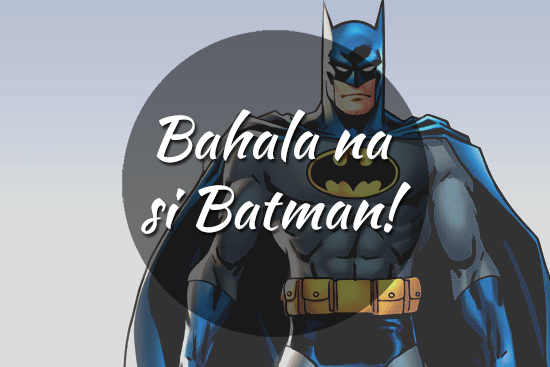 Bahala na si Batman! What it means: Loosely related to the phrase "f*ck it," but instead of throwing caution to the wind, you entrust your faith on a very specific (but still very fictional) superhero. In a sentence: "Instant trip to Tagaytay at wala kang dalang kahit ano? Bahala na si Batman!" What it means: Please ask this unidentified fictional character, because she's the only one who gives a damn. 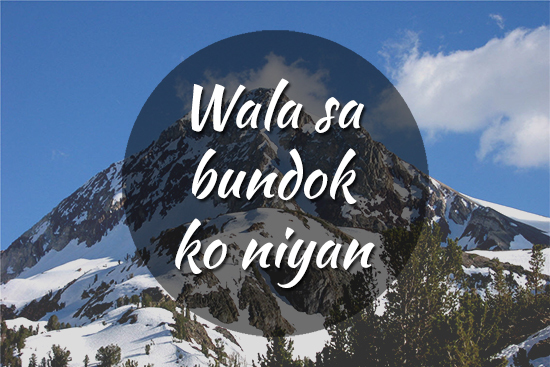 In a sentence: "Gusto mong malaman bakit tayo nag-break? 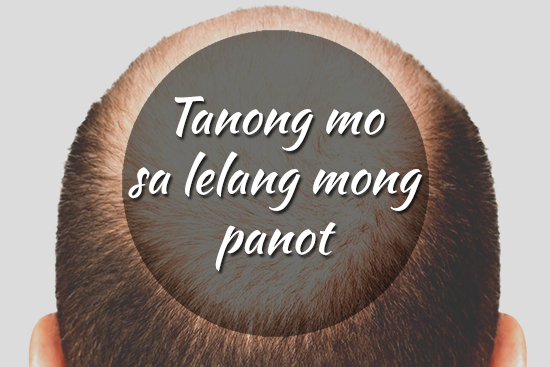 Tanong mo sa lelang mong panot." What it means: Literally, your face. An expression of disbelief, a calling out of BS...so maybe this means your face is dung. In a sentence: "You think you can beat me? 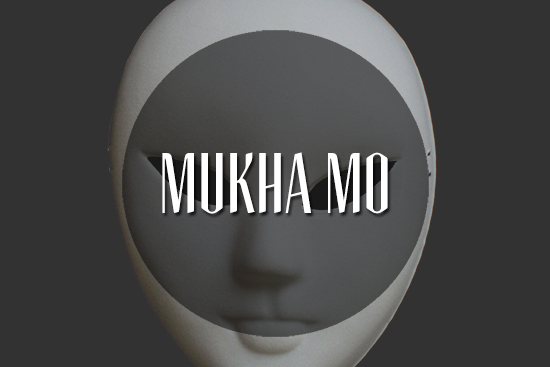 Mukha mo." What it means: An exclamation that expresses mild annoyance. In a sentence: "Anak ng teteng naman, sabi ko cheese, kinuha mo butter." In a sentence: "Kung hindi ka pa naman isa't kalahating tanga, bakit kasi diniligan mo 'yong cactus?" What it means: I'm going to (slap you with / throw a) shoe (at) you. 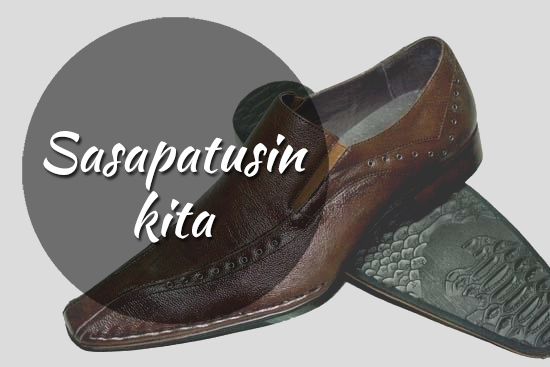 In a sentence: "Huwag kang makasat, sasapatusin kita." What it means: You've been caught, (you unusually hairy person). Sometimes used even when not addressing a hairy person. In a sentence: "Akala ko nasa bahay ka lang kagabi? 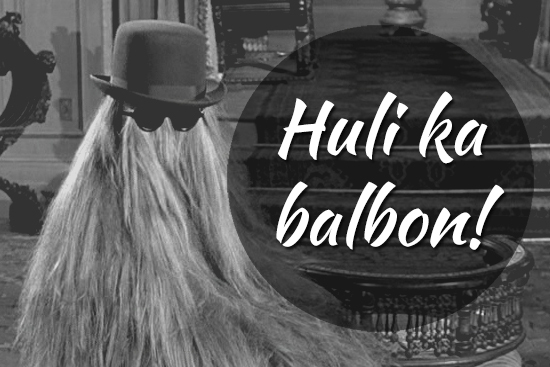 Huli ka balbon!" Writer’s note: This post has been updated on July 24, changing Kinain ng buhay to Kinain nang buhay. 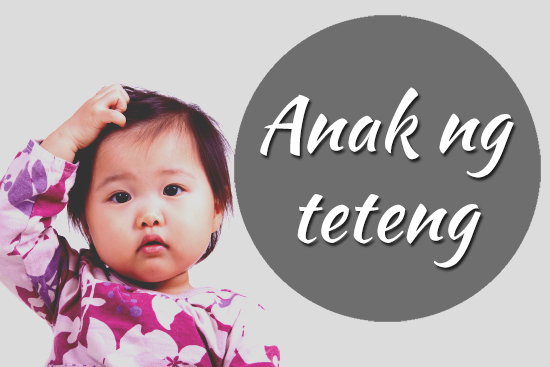 As a handy guide, we would like to share that the longer "nang" is used when it precedes a verb, an adjective, or an adverb, and when it is the first word in a sentence. Otherwise, the shorter "ng" is used. A reader in the comments would also like to point out that lelang is the Tagalog word for grandmother, which is why the article used the female third person pronoun to refer to a vague female ancestor of unknown identity. No changes were made.